A story is told of Saint John Paul II who visited a place in his home country, Poland, and was to meet with the staff of a particular building. Upon reaching there, he saw a woman he has known for a long time, and he violated the protocol and he said, ‘’Mary what are doing here?’’ and went to embrace her first. This was because he was able to recognize her among the staff members. The woman was overcome with joy because the Pope recognized her, and she shed tears. This is how every one of us feels when you are recognized by other people. The feeling that you are important and loved is wonderful to every person. Jesus said to his disciples, ‘’I call you friends,’’ because, according to him, He has taught them, his disciples everything about himself and the father. Furthermore, he tells disciples, ‘’ you are not servants but friends; it was not you who chose me, but I chose you and appointed you to go and bear fruits that will remain.’’ What a privilege to be chosen and not to be left out. That is the attitude of our God: He searches for us every now and then. We are called and chosen for joy. Jesus said, ‘’I told you this so that my joy may be in you and your joy might be complete.’’ The Christian way of life may be tough, but surely the end result is always joyful. Joy and love is the sign of God’s presence in us. The purpose of the gospel is to bring good news and the love of God to people. And it is our duty to bring this gospel to all people of the earth. However, we cannot give people this joy if we ourselves are not joyful in our lives. Jesus is indeed a real friend to us. A real friend will not abandon you, in every situation he is there with you and for you. Jesus is a friend that carries and bears all our sins. All we need do is to carry our sins to him. What a privilege we have in Christ Jesus! By virtue of our baptism we have been called to serve others. We are to serve the way Christ served: service with humility, selflessness, joy, and love. St. Paul in his letter to the Corinthians said, ‘’If I speak in tongues of men and angels, but without love, I am a noisy gong or a clanging cymbal. And if I have prophetic powers, and understanding of mysteries and all knowledge, and if I have all faith, so as to move mountains, but have no love, I gain nothing (Cor. 13: 1-2). This means love is central to our services as Christians. St. John would say, ‘’My dear people, let us love one another since love comes from God and anyone who loves is begotten by God and knows God.’’ He will never call us to give if He has not first given us. We can only give what we have received. So if we have not received from him, we are not expected to give since we cannot give what we do not have. In the gospel of John, the word love is mentioned several times. Our Lord, Jesus made love the central command of our Christian life. 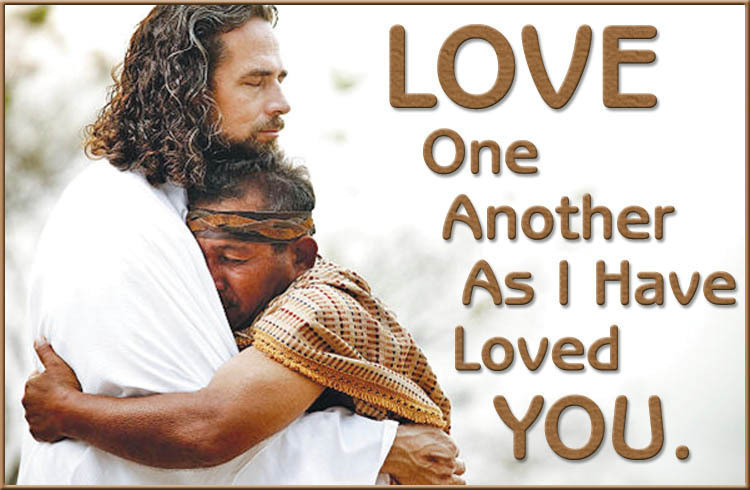 He said, ‘’ love one another as I have loved you. Jesus also said that we should remain and abide in his love. This denotes a deeper intimacy with him so much so that we become one with him. This love is different from emotional love; it is an attitude with a sense of responsibility toward someone, and this attitude is that of care and concern. It is the kind of love that involves conscious activities toward others, such as sacrificing, sharing, supporting, accepting, and accommodating one another as brothers and sisters. Unfortunately, we live in world that is full of hatred, violence, division, and discrimination against one another. And the only weapon that can be used to overcome all of these is love. Love is a powerful weapon that can be used to defeat envy, jealousy, pride, hatred, betrayal, injustice and all forms of evil in our world. It is the most effective medicine to cure division and discrimination and build bridges of friendship among people of diverse cultural background. Therefore, our duty as Christians is to use this powerful weapon to heal the world of her wounds. A little boy build a house while playing and decided to fixed a bulb in the house using a string. The boy was not happy that his bulb is not showing light as the one in their living room. So he cried and went to his father with his complain and the father explained to him that his bulb is not showing light because it is not connected to electricity. He needs a wire to connect the bulb to the source of electricity that will bring current to the bulb before it will begin to show light. Every living organism including human, animal, and vegetable needs nourishment such as food and drink. Deny them this nourishment they will begin to grow thin and eventually die. The plant gets nourishment from the roots and if it is cuts from the root it will never survive. If a plant is dead it cannot bear fruits. Just as we need nourishment for our physical well-being, we need nourishment for our spiritual growth. Our spiritual nourishment comes from God. He nourishes us with his word and the Eucharist every day. Just as if you stop eating you will be sick and eventually die, so it is if you stop eating you spiritual food, you will become weak and eventually die a spiritual dead. One of my professors in the seminary would always say to us, ‘’a prayer less Christian is a power less Christian’’. Therefore, if you want to bear good fruits in your life you must eat good food-the word of God and the Eucharist. Moreover, if you want a plant to produce fruits, you will have to prune some old and unproductive branches out. Cutting them out of the tree will avail the other branches more food and space so that they can be strong and healthy to produce more fruits. In the same way, we must cut off some unproductive relationships, attitudes, food, and drink in our lives and give enough space for the productive attitude. Until we do this we cannot bear good fruits in our lives. To successfully and continuously eat good food that will make us bear good fruits, we need to remain attached to the main vine-Jesus. 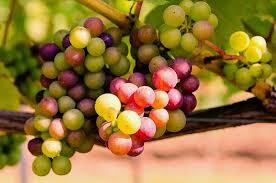 A vine is that part of the plant on which the branches are attached and on which grapes grow. His disciples are the branches and for them to survive and produce fruits, they must remain attached to him. And if they refuse to remain connected to him they cannot bear fruits. This means that we can do nothing if we separate ourselves from Jesus. But with him we can produce abundant fruits. We must remain connected and prune out bad elements around us in order to produce good fruits in our lives. To produce fruits to our utmost potential, we must remove sin from our lives. Sin is capable of making us really unproductive in our lives. Hebrews 12:1’’let us lay aside every weight and the sin that clings so closely, and let us run with perseverance the race that is set before us’’. Besides sin, there are other vices and bad habits that we must prune out of our lives. We must prune these bad attitudes by practicing self-denial, mortification, and self-discipline. It is for this reason that Jesus tells his disciples that if anyone wants to be his followers, let them deny themselves and take up their cross and follow him (Mathew 16:24). To bear fruits in your life, you need to prune out bad elements from your life and remain connected to Jesus through prayer, scripture and, the Eucharist.